PJ Masks are on their way, into the night to save the day! It's time to be a hero. Now you can transform into your favourite night time hero, Owlette, with the ultimate PJ Masks Owlette Dress Up Set! 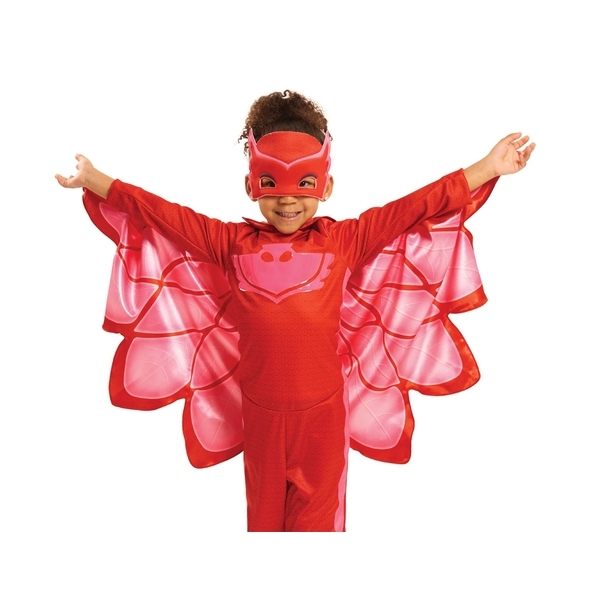 This set comes with a highly detailed full-body costume, made with quality fabrics in Owlette's signature colours. Also included is a fabric mask allowing young fans to enjoy hours of fun as they play out their own PJ Masks adventures.